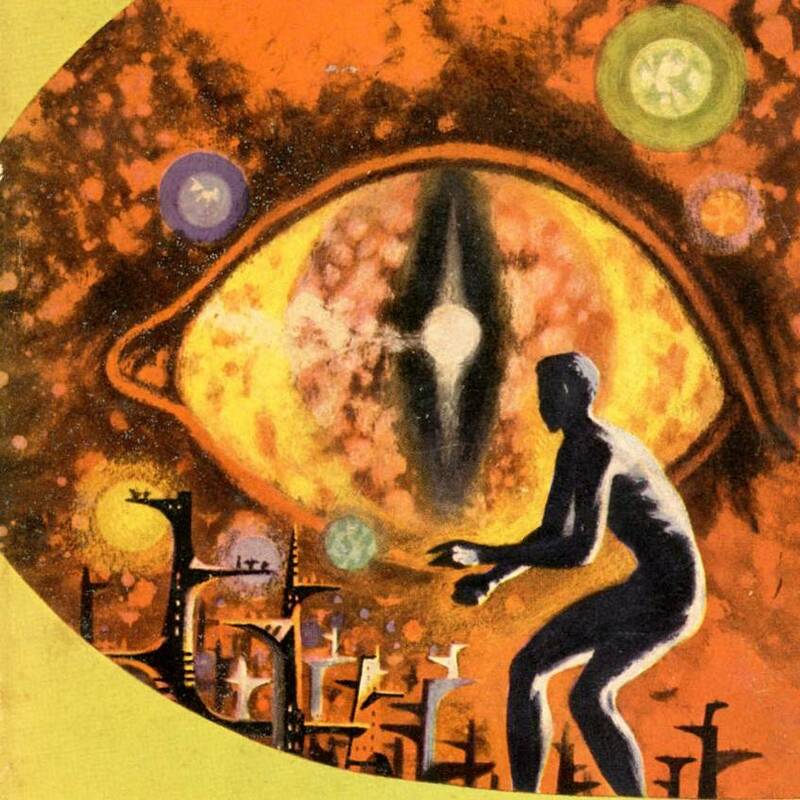 Arguably Arthur C Clarke’s finest novel, Childhood’s End is the story of an Earth that is invaded by a force of alien Overlords. This is not a destructive colonial invasion, which is why there’s no Hollywood blockbuster in the tale, but a seemingly benevolent intervention which ushers in a golden age for humanity. Although humankind initially does not get to meet the Overlords in person (for reasons I won’t give away here), the aliens unite the world’s governments, eradicate crime, conflict and the nation state and do away with the need for creativity and hard work. It is the literal end of history. The book’s pivotal chapter, reproduced below, describes a world in 2050 in which almost all of the world’s strife and striving is no longer needed or even allowable. Even the newspapers have vanished because there is nothing to fill their pages. Good news writes white. This is the true Age of Reason. Most people have two homes and are uniquely prosperous without the need to work themselves to death. Some people remain willing drones, but the vast majority are freed of drudgery by robots. At most they work 20 hours a week, and spend their time in sporting pursuits and leisure, thereby rendering professional sports obsolete too. The answer to that comes later in the book when – slight spoiler alert – humans transcend their physical selves and hence the childhood of humanity referenced in the title. The book was written in 1953 but it explores many of the ideas we are now faced with in the 21st Century. We are now addressing many of the questions raised in the novel, including our purpose in a potential world without traditional forms of work and the splicing of the real and non-physical world. While Clarke relied on a benevolent alien invasion as a way of raising these questions, we are addressing them in response to the advent of automation, artificial intelligence and other forms of immersive technology. The dialogue is just beginning about what we do with ourselves and how we maintain the economic and social order in a world in which we automate the basic tasks that many or most people have relied on for an income and some sort of meaning. Of course, Clarke was not alone in addressing the potential repurposing of our lives and social systems as the consequences of exponential technological development became clear in the middle and second half of the 20th Century. As long ago as 1930, the economist John Maynard Keynes was addressing the issue in an essay called Economic Possibilities for our Grandchildren. Although sharing his thoughts to the backdrop of the Great Depression, Keynes put forward the idea that capitalism could deliver a 15-hour working week for the majority and the possibility of a world in which drudgery was replaced by leisure. His premise was based on an extrapolation of the wealth creating potential of technology. In the essay he notes that the age of technological innovation that began in the 18th Century had materially improved the living standards of the majority of people for the first time in two millennia, even while the world’s population increased as a result of better nutrition and medicine. He predicted that by 2030, living standards in advanced capitalist countries would be “between four and eight times as high” as they were in 1930 and that the grandchildren of his readers would be working five shifts of three hours each week without any consequence for their living standards. The complexities of this, not least the fact that people don’t just work for the money, were explored by the still underappreciated Hannah Arendt in her 1958 book The Human Condition. Leaning on the ancient Greek philosophical ideas of the vita activa (active life) and vita contemplativa (contemplative life) she argues that centuries of arguments about their relative merits ignored the fact they were not interchangeable as facets of human existence. 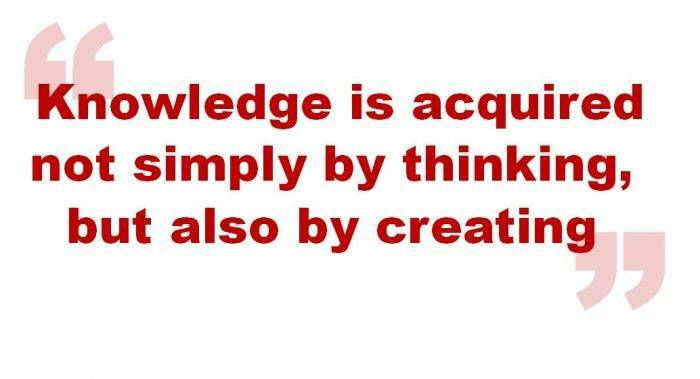 Knowledge is acquired not simply by thinking, but also by creating. Work not only meets our material needs and preserves our existence, it connects us to our fellow humans, expresses our identity and in the creative spheres offers us the chance to meet the most basic compulsion of existence – to create something that outlives us. This could explain the dissatisfaction felt by those who rebelled against a life of leisure in Childhood’s End but also provides a framework for the historic debate about the leisure society and our current contemplation of a post work world. The idea of the leisure society was most evident in the 1960s and 1970s when the true potential of computers and automation became evident. It seemed a simple matter to suggest that technological developments would mean we could generate the same wealth with less human labour and this would free people’s time to do other things. As Keynes had done, this idea was based on a simple extrapolation. In 1966, an article in TIME magazine considered what the rise of automation would mean and concluded that by 2000 (often the cut off point for these things) machines would be so productive that they could provide everybody with an annual income of $40,000 a year (in 1966 prices). This simplistic formula was rendered untrue within twenty years. The bottom line may have stayed the same but the variables had changed. 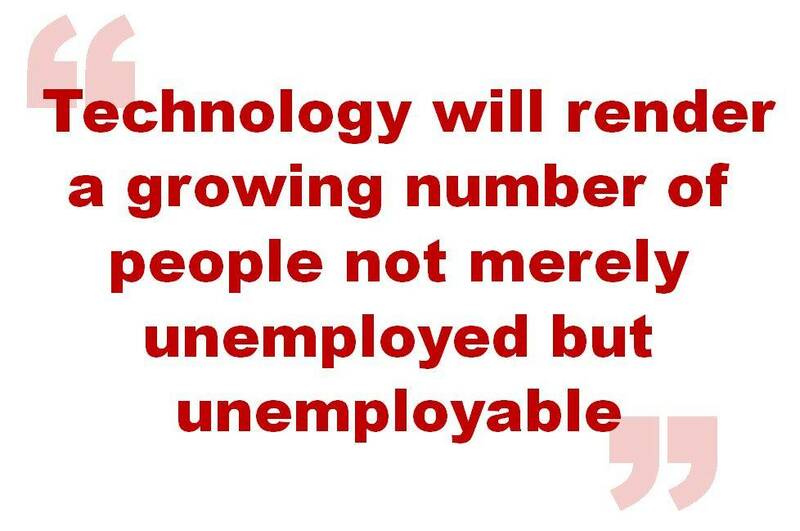 By the 1990s authors like Charles Handy were highlighting the increasingly precarious nature of work and the role of technology in allowing organisations to employ fewer people to do more and more work. We can see the truth of this now. We work longer hours and in a more unstructured way than at any time in our history, and not necessarily in a more productive way. At the same time living standards are stagnant or increasing in almost imperceptible ways for many people. 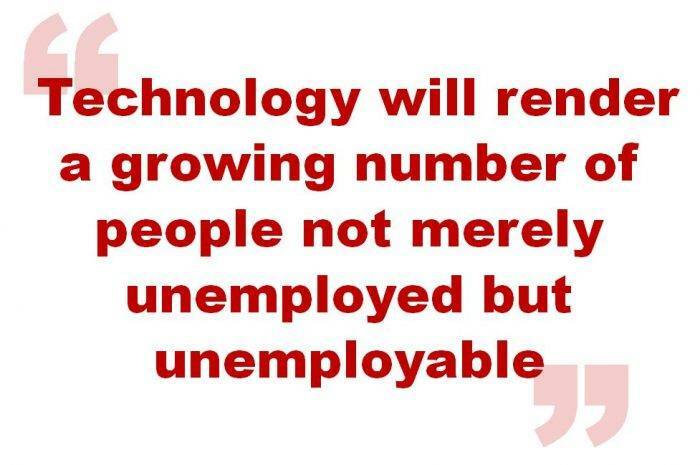 At the same time we are approaching the point at which technology renders a growing number of people not merely unemployed but unemployable in the traditional sense and the real prospect of a widening of economic divisions between those people who can exploit new technology, retrain or transfer their skills and those who cannot. 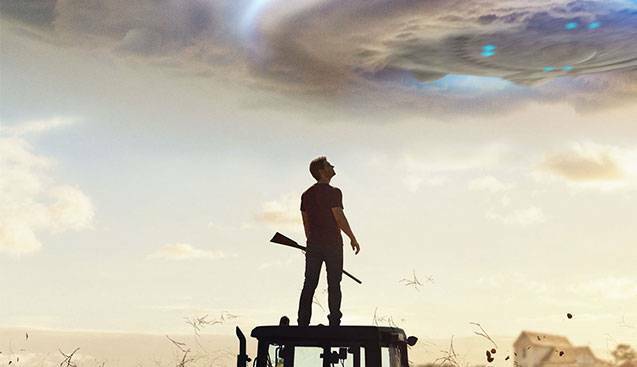 So, we may finally be approaching the point at which we must address the reality of a world that echoes the one created by Clarke in Childhood’s End. Hence the ongoing debate about the very real possibility of Universal Basic Income in developed countries and a genuine leisure society for many people, if not everybody, rendered unemployable to some degree or other by automation. Hannah Arendt offers the same question about the meaning of existence raised by Clarke. What happens when a society of workers is freed from work, she asks. In the work of both writers, the answer is not simply a new era of leisure. We still yearn for creativity, strife and striving and the structuring of our time. As another writer, Susan Ertz puts it in her 1943 book Anger in the Sky: Millions long for immortality who don’t know what to do with themselves on a rainy Sunday afternoon. If we don’t take account of these complexities of human behaviour and motivation, we run the risk of infantilising what should be a far more grown up discussion of the role of work and workplaces in our lives. The human race continued to bask in the long, cloudless summer afternoon of peace and prosperity. Would there ever be a winter again? It was unthinkable. The age of reason, prematurely welcomed by the leaders of the French Revolution two and a half centuries before, had now really arrived. This time, there was no mistake. There were drawbacks, of course, though they were willingly accepted. One had to be very old indeed to realize that the papers which the telecaster printed in every home were really rather dull. Gone were the crises that had once produced banner headlines. There were no mysterious murders to baffle the police and to arouse in a million breasts the moral indignation that was often suppressed envy. Such murders as did occur were never mysterious: it was only necessary to turn a dial – and the crime could be seen re-enacted. That instruments capable of such feats existed had at first caused considerable panic among quite law-abiding people. This was something that the Overlords, who had mastered most but not all the quirks of human psychology, had not anticipated. It had to be made perfectly clear that no Peeping Tom would be able to spy on his fellows, and that the very few instruments in human hands would be under strict control. Rupert Boyce’s projector, for instance, could not operate beyond the borders of the reservation, so he and Maia were the only persons inside its range. Even the few serious crimes that did occur received no particular attention in the news. For well-bred people do not, after all, care to read about the social gaffes of others. The average working week was now twenty hours – but those twenty hours were no sinecure. There was little work left of a routine, mechanical nature. Men’s minds were too valuable to waste on tasks that a few thousand transistors, some photoelectric cells, and a cubic meter of printed circuits could perform. There were factories that ran for weeks without being visited by a single human being. Men were needed for troubleshooting, for making decisions, for planning new enterprises. The robots did the rest. Most people had two homes, in widely separated parts of the world. Now that the polar regions had been opened up, a considerable fraction of the human race oscillated from Arctic to Antarctic at six-monthly intervals, seeking the long, nightless polar summer. Others had gone into the deserts, up the mountains, or even into the sea. There was nowhere on the planet where science and technology could not provide one with a comfortable home, if one wanted it badly enough. Some of the more eccentric dwelling places provided the few items of excitement in the news. In the most perfectly ordered society, there will always be accidents. Perhaps it was a good sign that people felt it worthwhile to risk, and occasionally break, their necks for the sake of a cozy villa tucked under the summit of Everest, or looking out through the spray of Victoria Falls. As a result, someone was always being rescued from somewhere. It had become a kind of game – almost a planetary sport. People could indulge in such whims, because they had both the time and the money. The abolition of armed forces had at once almost doubled the world’s effective wealth, and increased production had done the rest. As a result, it was difficult to compare the standard of living of twenty-first-century man with that of any of his predecessors. Everything was so cheap that the necessities of life were free, provided as a public service by the community, as roads, water, street lighting, and drainage had once been. A man could travel anywhere he pleased, eat whatever food he fancied – without handing over any money. He had earned the right to do this by being a productive member of the community. There were, of course, some drones, but the number of people sufficiently strong-willed to indulge in a life of complete idleness is much smaller than is generally supposed. Supporting such parasites was considerably less of a burden than providing for the armies of ticket collectors, shop assistants, bank clerks, stock-brokers, and so forth, whose main function, when one took the global point of view, was to transfer items from one ledger to another. Nearly a quarter of the human race’s total activity, it had been calculated, was now expended on sports of various kinds, ranging from such sedentary occupations as chess to lethal pursuits like ski-gliding across mountain valleys. One unexpected result of this was the extinction of the professional sportsman. There were too many brilliant amateurs, and the changed economic conditions had made the old system obsolete. Next to sport, entertainment, in all its branches, was the greatest single industry. For more than a hundred years there had been people who had believed that Hollywood was the center of the world. They could now make a better case for this claim than ever before, but it was safe to say that most of 2050’s productions would have seemed incomprehensibly highbrow to 1950. There had been some progress: the box office was no longer lord of all it surveyed.